This Morris Farms T-shirt is Gildan Ultra or Heavy Cotton and is available at this time in adult medium, large and x-large sizes. 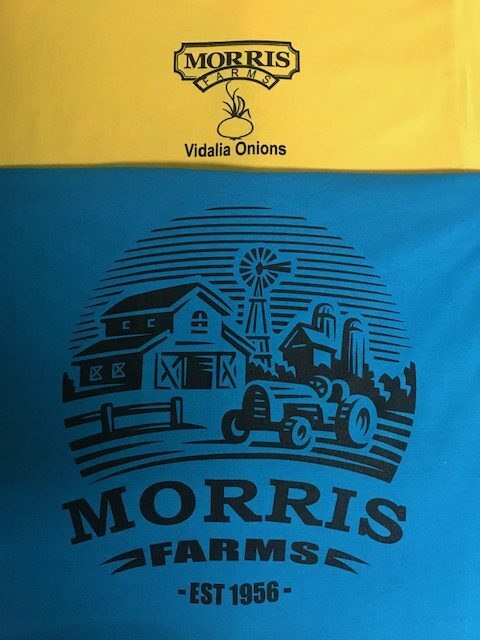 The Morris Farms logo with onion image is located on left front pocket area and the farm scene is on the back. Please call 1-800-447-9338 to order.